It was in August 2016 when I was informed of the new malt beverage being released by the E&J Gallo Winery, and from day one I knew I had to get my hands on it. When I first heard about Thunderbird Hard Citrus Brew, my first thought was Thunder Dew. 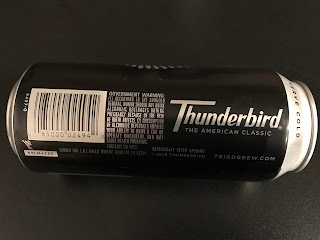 Did this company take my highly popular bum wine concoction of mixing Thunderbird Wine and Mountain Dew and create their own beverage to capitalize on Thunder Dew's popularity? I searched and searched and tried to find a way to get my hands on a can of this new beverage, but things were not looking good. 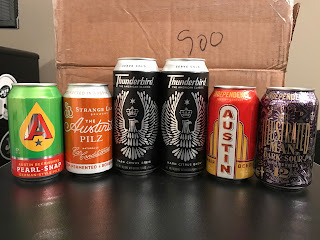 All signs pointed to it being a limited test release in the southwest USA, so it didn't look like it would be making it's way to New Jersey any time soon. Two beautiful cans of Thunderbird Hard Citrus Brew were now in my possession. Do I crack one open and enjoy right way? Do I save it for a special occasion? 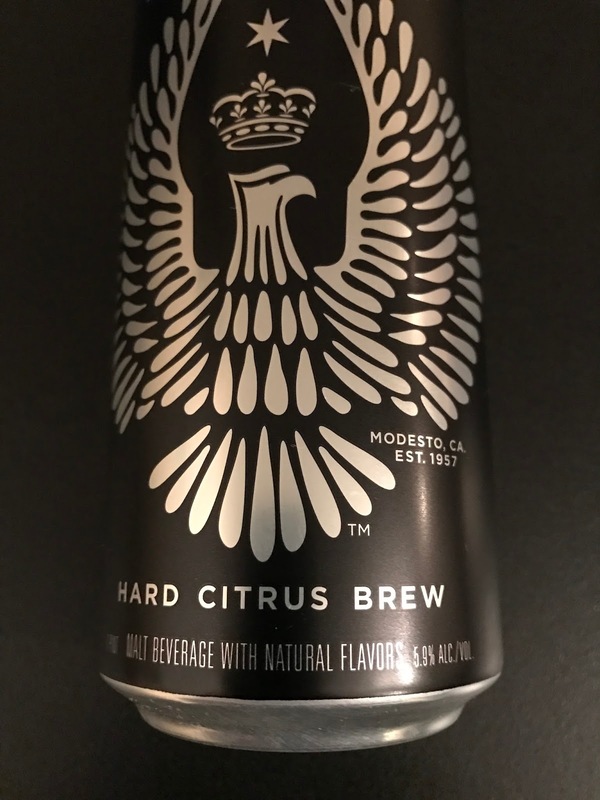 If you tuned in this past Monday to the first LIVE edition of Bumming with Bobcat on the SFD Radio Network, you heard me give Thunderbird Hard Citrus Brew a try for the first time on-air. What was the verdict? A somewhat sour fruity aftertaste, right on point with the grapefruit taste people said in other reviews. I found it to be very refreshing and a drink that could be enjoyable during the spring and summer months. 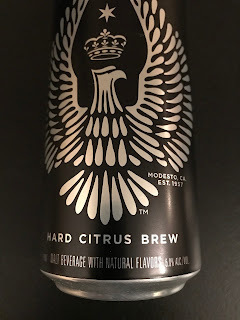 Coming in at 5.9% ABV it's more on the lighter side of the malt beverage spectrum, so it could be a good choice when comes to your summer day drinking. 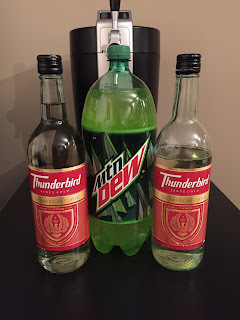 I couldn't help comparing it to Thunder Dew with every sip I took. 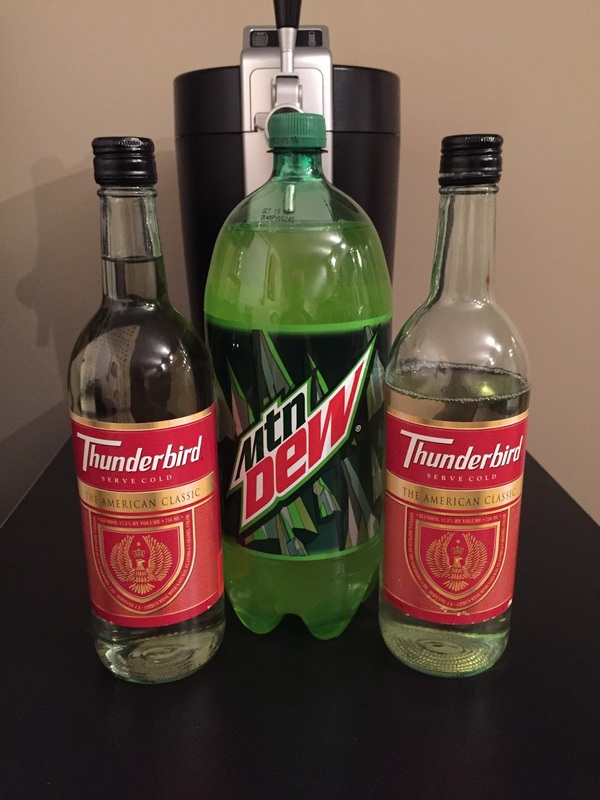 I have to say that the similarities are there, but nothing compares to a cold glass of Thunder Dew. 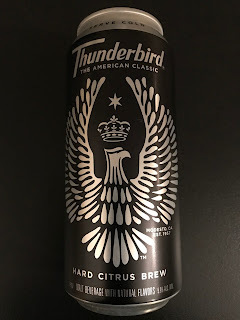 Is Thunderbird Hard Citrus Brew a worthy substitute if you can't get your hands on a bottle of Thunderbird? Sure. 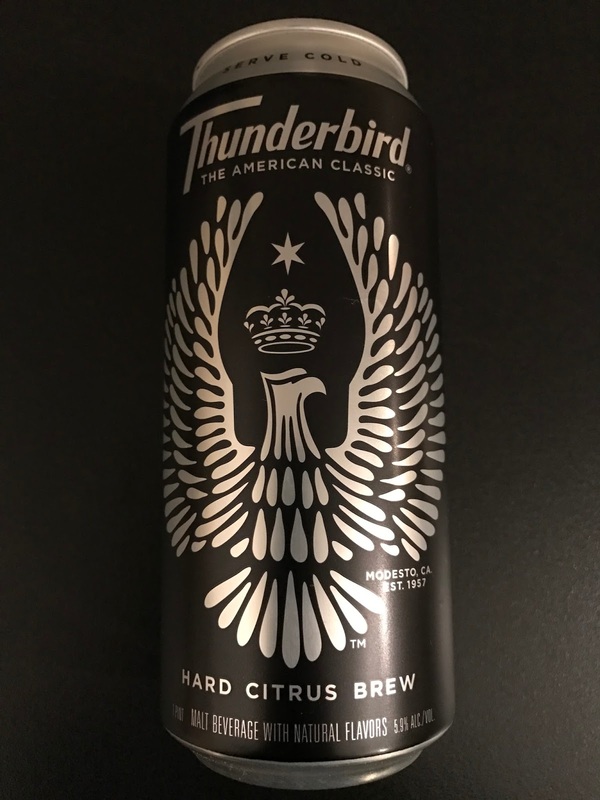 Hopefully things go well in the test markets so we can get a nationwide release of Thunderbird Hard Citrus Brew in the near future! 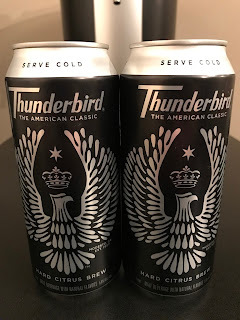 Want to hear my full review and thoughts on the new dirty bird as I give it a try for the first time? 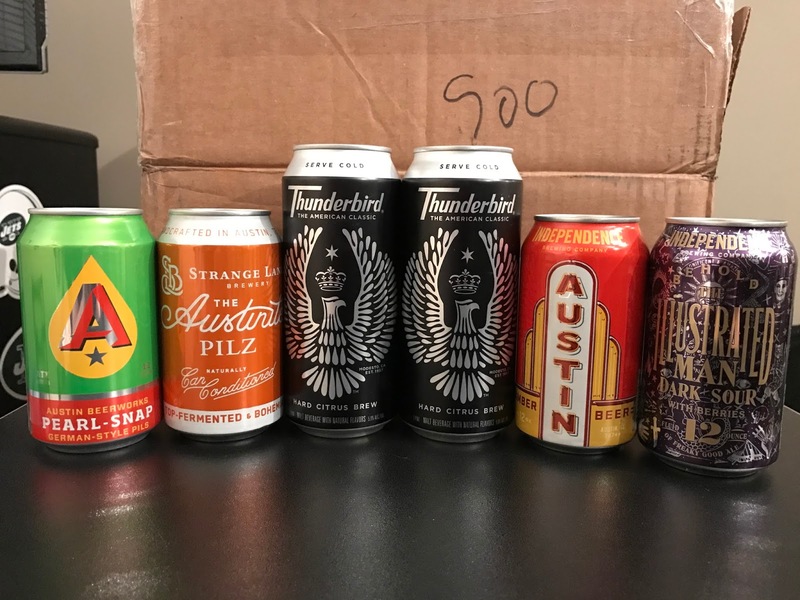 Check out this weeks edition of Bumming with Bobcat with the Thunderbird Hard Citrus Brew taste test, the 2017 BWB Battle Of The Booze Preview, and MORE! Remember to tune in LIVE on Monday nights at 10pm EST on the SFD Radio Network for all new episodes of the podcast! Cheers!